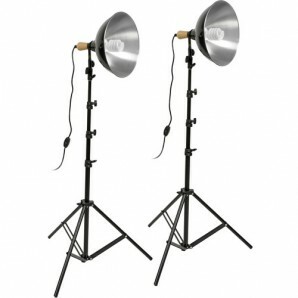 This Impact Fluorescent Two-Floodlight Kit consists of two complete fluorescent floodlight kits. 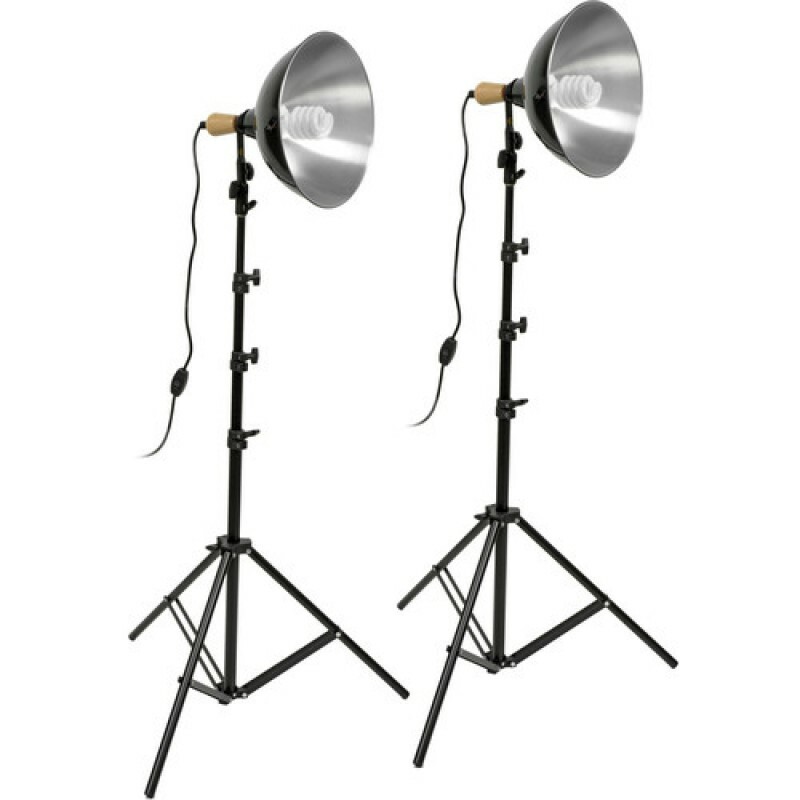 Each kit includes a ceramic socket with wooden handle, 12"" aluminum reflector, a light stand, and a 30 watt screw-in fluorescent bulb. 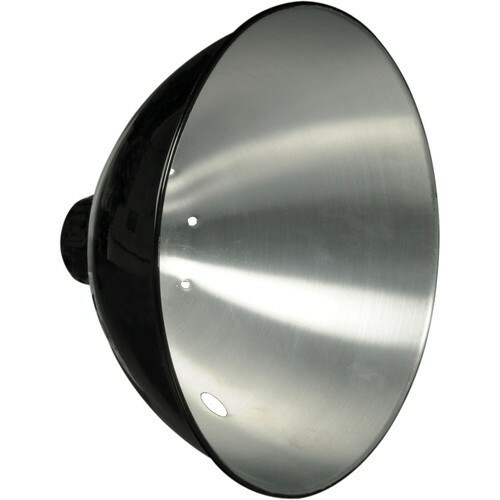 The reflectors are made of heavy-grade brushed aluminum to maximize the light output. 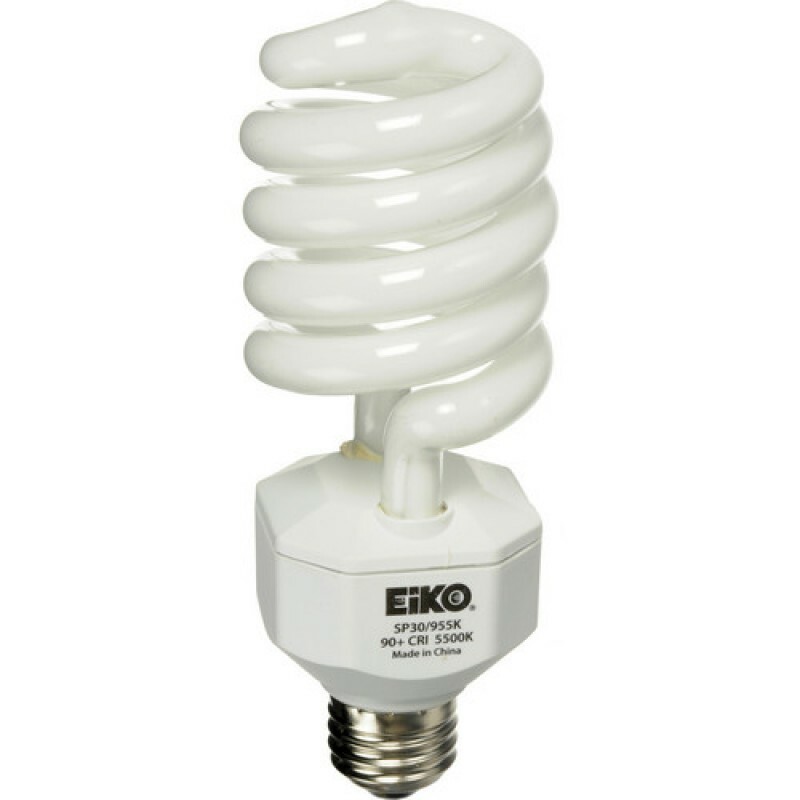 The light socket features a high heat ceramic socket and all high heat metal that won't melt like units with plastic sockets. 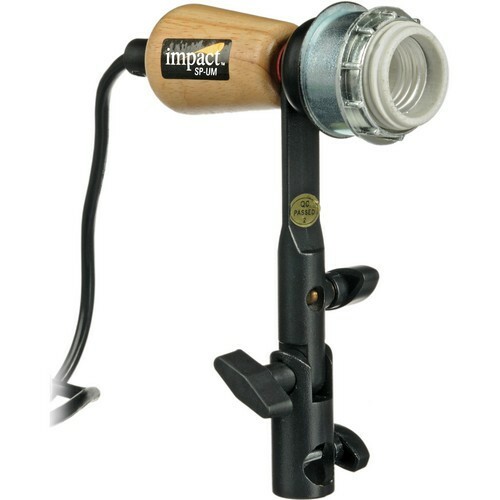 It also features a wooden control handle that stays cool, and includes a built-in adjustable umbrella mount. 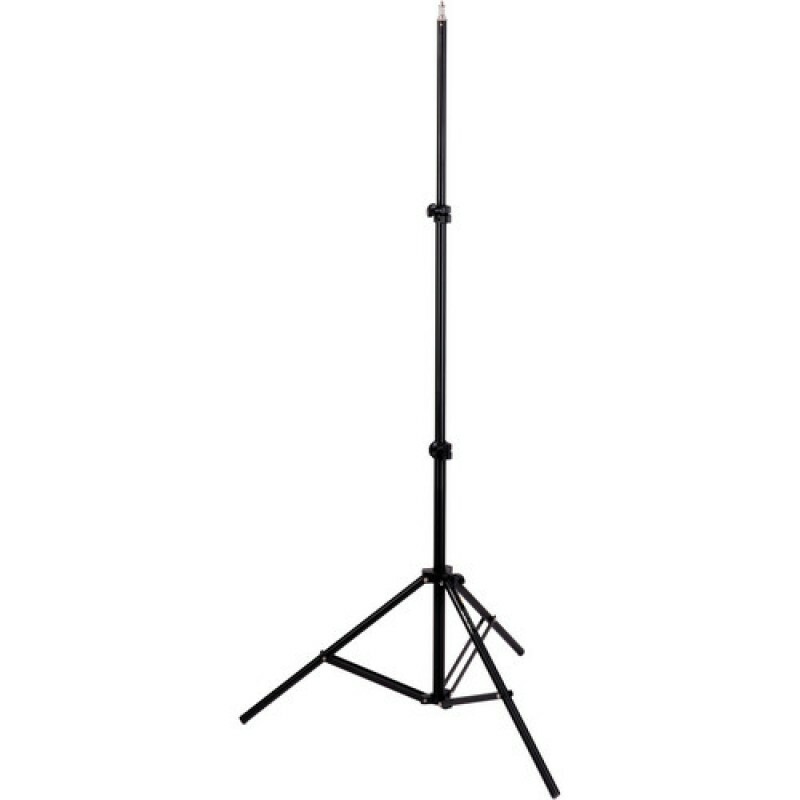 The attached cord comes with an in-line switch, and the adjustable metal mount features a 5/8"" receiver for light stands and an 8mm umbrella receptacle.